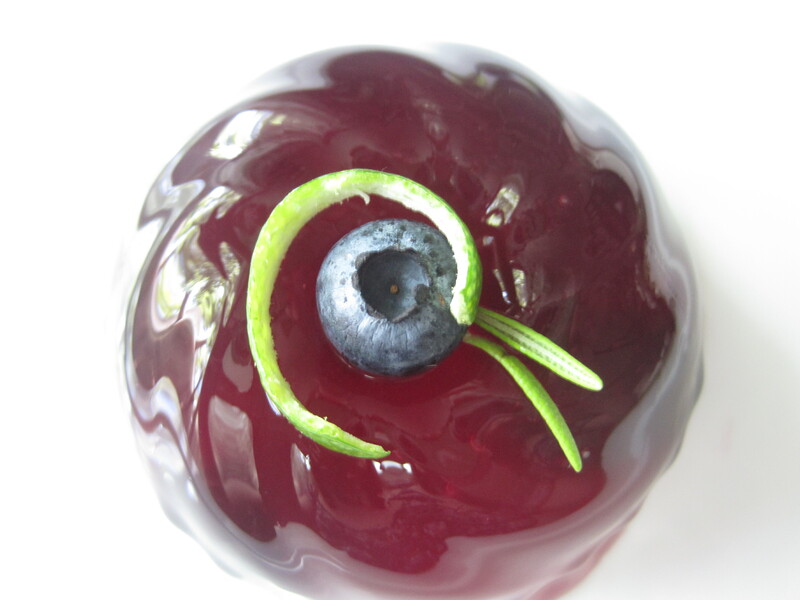 This creation is the latest installment in my series of herb-infused boozy gelatin molds. The unique fusion of rosemary, limes, blueberries, club soda, and gin proves irresistible as a cocktail; and even yummier in gelatinous form. I adore the delightfully sweet and sour combination of berries, citrus, herbs, and booze. Put ½ cup of water in a small bowl and sprinkle the 2 packets of gelatin on top of the water. Set bowl aside. Put water, blueberry juice, sugar, and lime juice in a saucepan over medium heat and bring to a low boil until sugar dissolves. Remove from heat, add lime zest and rosemary leaves. Let stew for 10-minutes. Strain the lime/rosemary syrup, and return to saucepan. Bring to boil, remove from heat, and add the bloomed gelatin. Stir until gelatin dissolves. Stir in cold gin and club soda. Put mixture in refrigerator (or freezer) until thickened to a soft gel consistency. It should be easy to stir but thick enough to suspend the blueberries. Stir in berries and spoon mixture into mold(s). Put in refrigerator until set, at least 4 hours. I’m looking for the perfect molds to make this into mini palate cleaners for between courses (while keeping the guests adequately boozed up). Thanks Steve! Actually, fizz does stay in the gelatin molds. It gives the gelatin a crumbly texture. 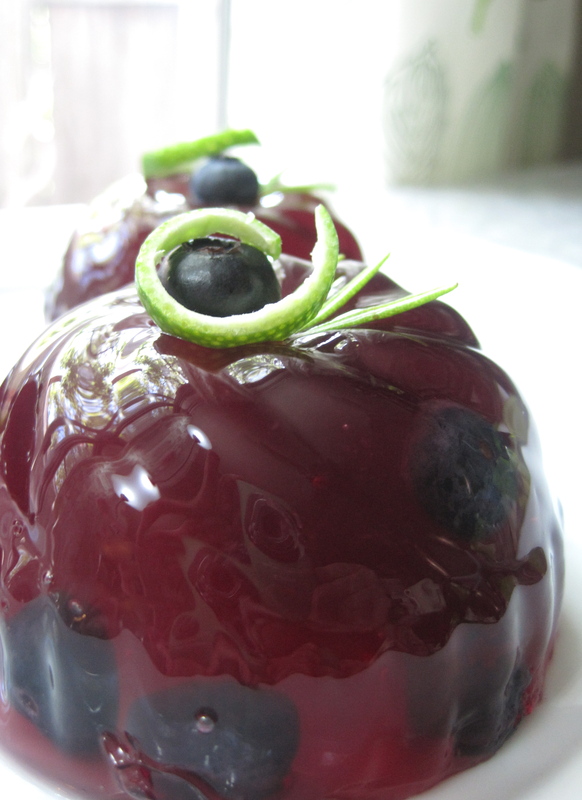 I was thinking of making a strawberry/lemon gelatin mold with gin and mint. That might make a good palate cleaner… Let me know what you decide to do!